Mushti Polo is a common breakfast for us. Mushti in konkani means fistful and polo means dosa. In this recipe, our fist itself acts as a measuring cup:-) Hence the name Mushti Polo. 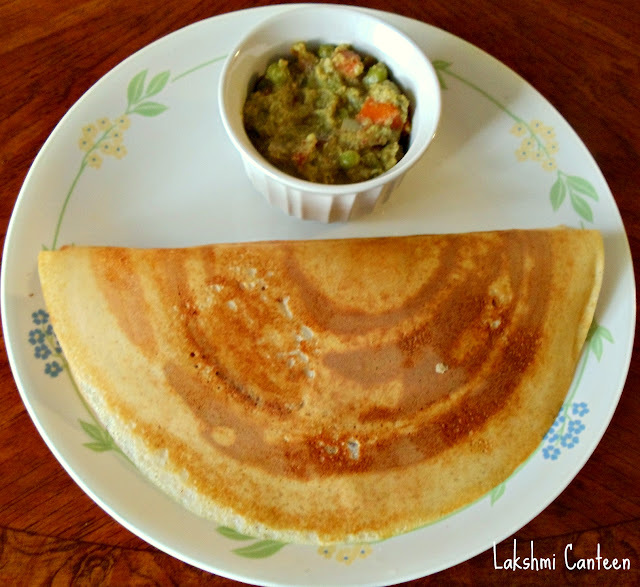 My amma makes this dosa a little different, hence I wanted to try little variations and found a trusted recipe in a book written by Jaya V Shenoy. I also added the leftover rice which was lying in the fridge. The dosa turned out excellent. Try this wonderful dosa. Soak rice, urad dal and fenugreek seeds for two hours. Then grind all the above mentioned ingredients except salt. Get a fine paste by adding required amount of water. Don't make the batter watery. Ferment this batter for 8-10 hours. 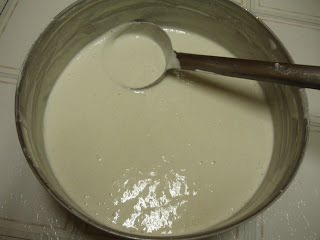 If the batter is too thick, then add little water and salt to taste. 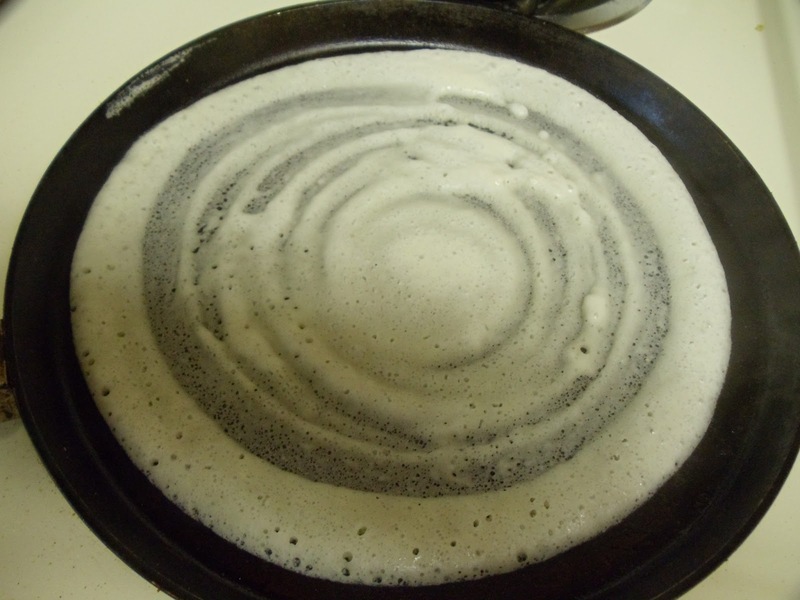 After the tawa gets heated pour a ladel full of batter on it and start spreading in circular motion. At this stage, oil can be added, which is optional. This dosa is usually made very thick (we prefer very thin and crispy dosa). Close it with a lid for half a minute. 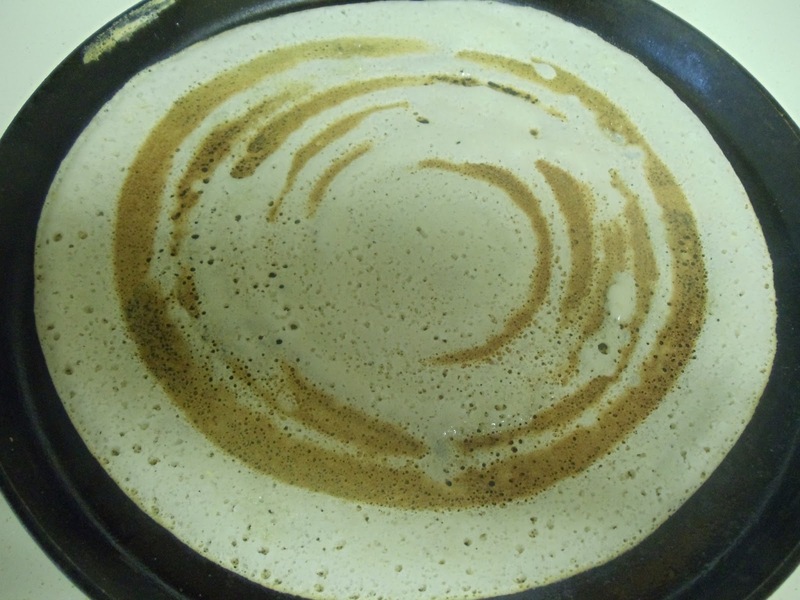 Now slowly the base of the dosa starts turning brown. Remove from the tawa. Mushti Polo is ready!! Serve it hot with coconut chutney or any curry of your choice. Above measurement serves 3-4 people.